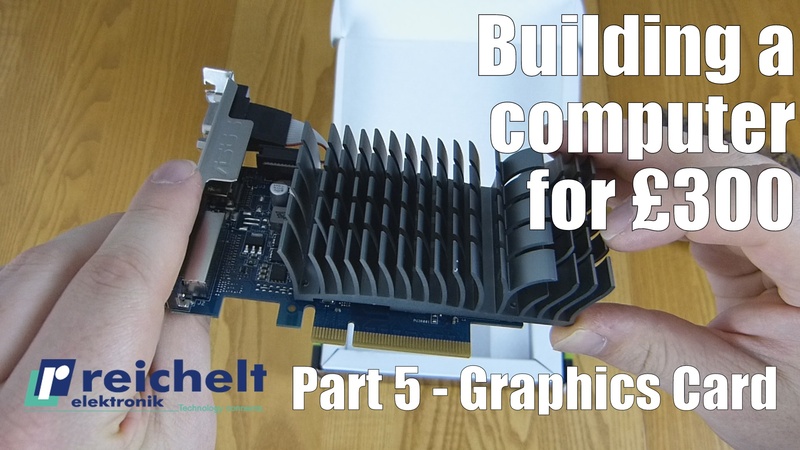 In part five, we pick a graphics card. The Asus GT730 is a low-end passive card designed for silence and costing only £55.17 incl. VAT. GT 730 is the fantastic new graphics card from ASUS. Engineered with a highly-efficient 0 dB thermal design, it dissipates heat in complete silence — making ASUS GT 730 the perfect choice for your slimline home-theatre PC (HTPC) build. Advanced EMI shielding reduces electromagnetic interference by up to 66% for a stable signal, pin-sharp images and safer and healthier computing. Users who love to customise can enjoy the integrated GPU Tweak software, enabling them to control video memory, voltages and cooling fans and even stream live gameplay in real time!